Industries like healthcare, banking, and manufacturing quickly embrace the projected capacitive touchscreen (PCAP) technology. The leaders in waste management and recycling industry as well are also learning to apply the system in their environment. The adoption of such kind innovative technology helps increases the efficiency and productivity of the industry. Plus, it also saves them a lot of money from manpower and transportation costs. Know how a PCAP technology is utilised and understand why it became a substantial tool in the waste management and recycling industry. How Can A PCAP Technology Bring Waste Management Into The Digital Age? Whilst other industries have been slower to embrace the trend, the waste management and recycling industry are looking forward to change their system. From GPS solutions to automated hoists, it became a better way to manage their operations. 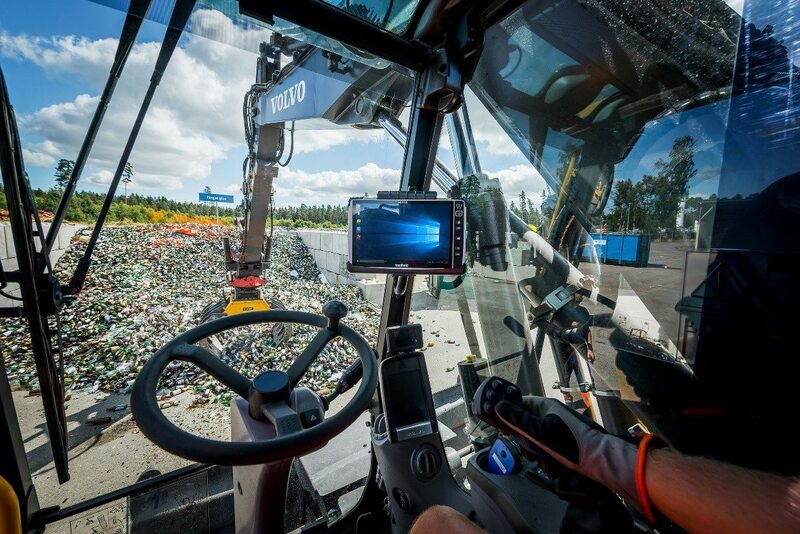 So, read on and let’s discover how a projected capacitive touchscreen technology brings the waste management into the digital age. In reality, it takes a lot of valuable energy and materials to create new products which resulting to industrial waste. The real problem is that these wastes are oftentimes difficult to manage. Many cities and countries like the UK imposed strict environmental laws to companies that produce excess amounts of wastes and could potentially harm the air and the ecosystem. Companies have no choice but to continue produce hazardous industrial waste and, at the same time, manage the waste and recycle as required by law. Fortunately, various innovative technologies are already available to help waste management companies to better manage waste collection and enhance the recycling process of specific waste. One good example is installing with 12.1” rugged touch panel displays. It comes with a built-in Watchdog timer where it functions to monitor, login, and control the operations. Take note, this 12.1” rugged industrial computer works even on wearing gloves. Needless to say, managing waste disposals should maintain its hygienic condition for health and safety purposes. Aside from this benefits, touchscreen technology is also utilised in waste data analysis, waste bins and collections, and management of specific waste. Most of the 12.1” rugged touch panel displays are powered by Intel BayTrail-M/D with 2.0GHz Quad Core processor motherboard. Thus, it can store big data, analytics, and certain software application to better analyse and manage waste data. With the use of this innovative computing technology and smart bins, waste bins can now be monitored and optimised its collection. As a matter of fact, it can also help generate schedules and augment routes for waste collections. PCAP technology is ideal for specific function and management of specific waste is one. An automated tracking system can be installed to help food companies, for instance, in monitoring and reducing waste such as foods and plastics. See, it is not just innovative, it is also earth-friendly. Out With the Old, Act Now! There is an undeniable fact that the waste management and recycling industry face difficulties in hiring manpower and increasing its logistic costs. That is why it is essential to embrace these exceptional innovation to improve efficiency and productivity. Consider finding a suitable projected capacitive touchscreen expert to help you upgrade with technologies on waste management.